A Mary Berry incident with hubby! I’m a bit down again at the moment. We all get our moments, don’t we? But we don’t all get our hubby making us a lovely cake to cheer us up. This is what my better half is on with at the moment. It’ll be very welcome, even if I do have to pedal harder on my cycle machine tomorrow , walk a few extra miles and generally move about a bit more to work it off. It’ll be lovely with a cup of Earl Grey later on. On and in the books. On the seat cushions, on the chairs. On the downstairs loo, toilet seat? All little surprises, waiting to be found by me! Yes, our house looks like a flour wonderland, when his lordship has finished doing his Mary Berry thing in the kitchen. Thank god I haven’t done the BIG CLEAN of the kitchen this week, just yet. Then he would have been in trouble, cake or no cake. I’m a hard woman! I can’t be won over with cake alone. So, I’m going to do my online food shop and wait for Mary Berry to bake my cake, for my supper. Yummy. As I type this I can hear the swifts screaming outside, as they fly overhead. 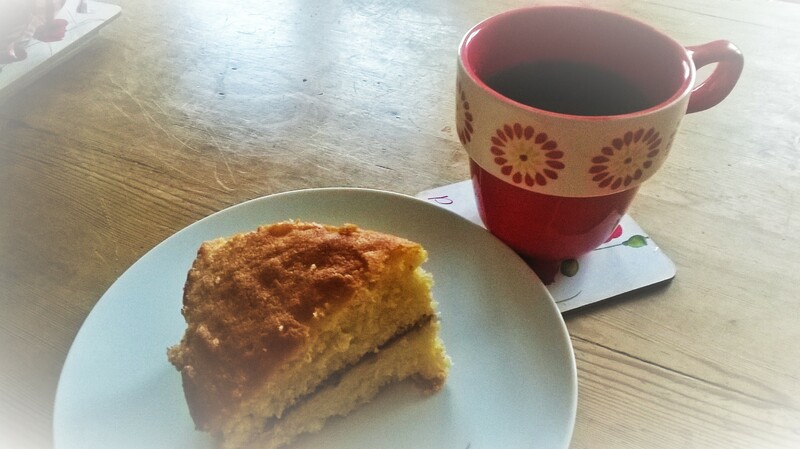 The jackdaws are having a chinwag and there’s a lovely cakey smell starting to waft up from our kitchen. A warm summer evening, in our lovely part of Yorkshire. There…I’m starting to feel better all ready! I hope you’re having a lovely evening, wherever you are and whoever you’re with. Prev The best Dracula ever! Mr Oldman. Watch out for my next blog posting as I’ll be talking about the event and about the wonderful contributions I’ve had from people and organisations! I’m sure he would do. Well done to you and your daughter for having the coffee morning. Good luck with that and I’ll check out your blog.